Last night Bill O'Reilly presented one of the clearest understandings ever of what BO's plan is for America when Bill explained exactly what BO meant by the term "social compact" in his speech last Wednesday @ GW University. On the 105th anniversary of the Great San Francisco Earthquake of 1906 please compare the pitiful weak socialist points below to the fact that it was the survivors only of that earthquake who rebuilt their city entirely on their own with no government assistance whatsoever - source - Professor Williams November 18, 2005. "This week President Obama will hold town hall meetings around the country trying to sell his vision of a strong America based on responsible spending and the 'social compact.' The social compact was made popular by French philosopher Jean-Jacques Rousseau in the 18th century; basically he said the central government has an obligation to help its citizens in pretty much every way. America largely avoided the social compact until the Great Depression, when so many people were suffering that President Roosevelt began the entitlement society. America now faces economic ruin because it owes more than $14-trillion. Still, many Americans, including President Obama, do not want to cut entitlement programs very much. This is the war raging throughout America - between conservatives who emphasize personal responsibility and achievement against liberals who say the government must take from the wealthy and give to the poor. So it will be interesting to see if President Obama can rally the country to support his vision of a strong social compact. He has compassion on his side; few Americans want to see their fellow citizens suffer. But the President does have that fiscal responsibility issue haunting him because the country remains in dire trouble." 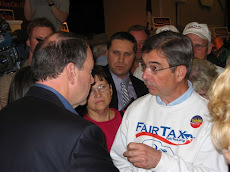 The Factor pursued the notion of a 'social compact' with Fox News analyst Brit Hume. "We're talking about the social safety net or the welfare state that has grown up since the New Deal," Hume began. "If the President is saying that Paul Ryan and the Republicans in the House are trying to change that social compact, he's certainly not wrong, but that social compact is about to collapse of its own weight if we look at the budget projections. Even the President would acknowledge that we have unsustainable levels of debt and spending, but he has proposed absolutely nothing specific." 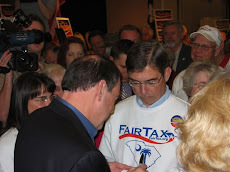 The Factor predicted the President Obama will fight entitlement cuts with all his power: "I think he firmly believes it is his job to expand the federal government to take from the wealthy and give to the poor and to set up a quasi-socialist society." Your article was good, but to cut entitlement programs will mean a lot of hardships for many people and if they vote your job as senator or rep. is gone the next election, especially with union support against you. Today entitlement programs are a way of life for many people,they expect it. TAKE IT AWAY and you lose election time. That is fact. When FDR was in power, country in bad shape, depression,etc. He created lots of programs to give money to people in need - and many of them did not do anything to "cure" the depression. But he did get re-elected. World War II helped him, creating employment for people. Solution to our present condition. I do not know. Stocks keep going up for no reason, making people happy and content. Even many of "tea"party members in Congress see that they cannot do a lot, without creating "pain"to the masses of people. This is only one persons' view.